The 21st Century world of work is a demanding place. So much is expected of us. We’re expected to be more productive, work at a consistently high standard, in a more cost effective way and to ever tighter deadlines. The global changes brought about by technological advances mean that business is straining to keep up with our times, and our performance is monitored, recorded, and analysed in ever increasing ways. These are stressful times, and the impact on workers can’t be underestimated. In 2017, The Institute of Directors in the UK produced a report detailing the effect on business of poor mental health. With a 25% year on year increase in the number of days taken off work because of mental health issues, 15.8 million lost each year because of stress, depression and anxiety, and over half a million British workers reporting stress due to work at a cost of more than £5billion, it’s essential that business takes these issues seriously. Mindfulness is far more than just a buzzword. In the world of business, it’s becoming a crucial skill for workers and managers alike. Organisations across the world need to see the importance of this valuable tool, and build it into their working culture. Our wellbeing should be at the centre of our lives. A constant, ongoing process, to aid how we live and how we work. Forward thinking managers, in forward thinking companies, see their people as more than just tools or instruments. The corporate culture too often sees humans as ‘resources’ or ‘assets’. Mindful managers see something else. They see beyond the idea of reward as incentive. They are open to the idea of understanding others by first questioning their own mindset. They empathise. They support and encourage. Most importantly, they listen. They listen to see. To see that bigger picture by better understanding the smaller stuff. Health and Safety legislation ensures that businesses have a duty of care over the physical health of their people, but these laws don't as yet cover mental health. It will happen, though, if only to lower the IoD statistics above. For legislation to be truly effective, it has to reflect the society it's designed to represent. Many businesses are now seeking to train managers and leaders in Mental Health First Aid, learning techniques and the skills to better identify early signs, and to react quickly. This builds a consciousness into the corporate culture of the importance of full health. A much needed change. 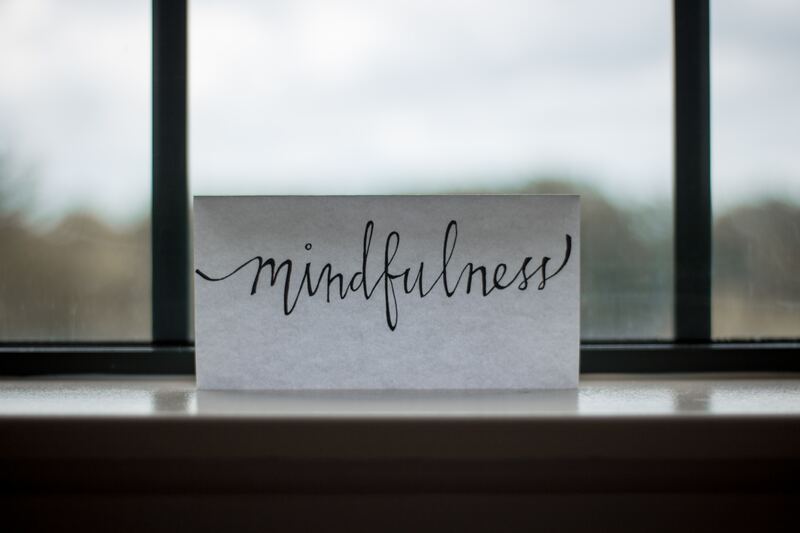 For leaders, mindfulness can mean several things. It’s their job to be able to step back and understand the big stuff, the big picture. To get an aerial view of what’s happening. To fully understand that, managers need to also understand the small stuff, the smaller, softer detail of how their people are, how they’re working. That process must begin with themselves. Truly mindful managers can bring about improvements to productivity, grow job satisfaction, engagement and loyalty in their staff. By embracing the power of mindful communication, leaders can encourage and build this more connected and engaged workforce. And that means one thing above all. It means re-thinking. A fresh approach to motivating employees.